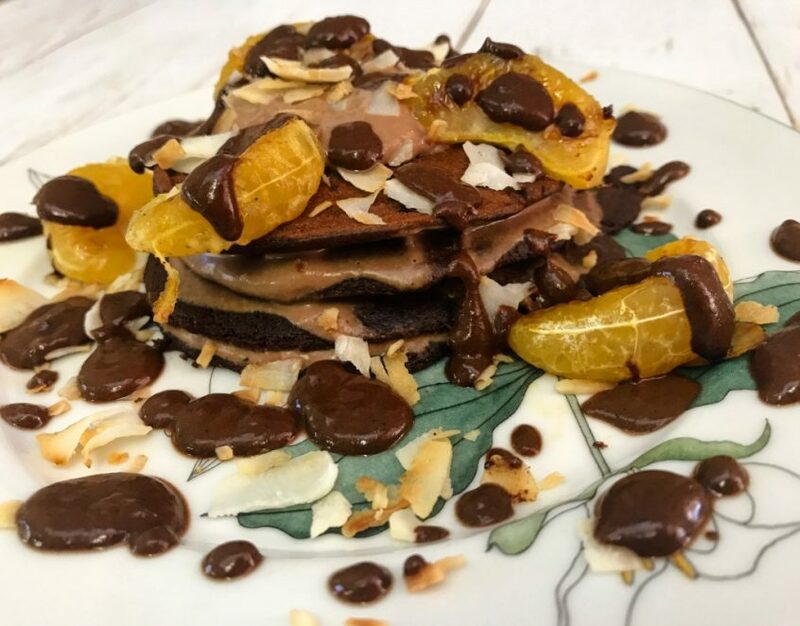 These Jaffa Pancakes (choc-orange) are a cool take on my base pancake recipe, with protein, complex carbohydrates and healthy fats (not to mention stacks of flavour!) these will help regulate your blood sugars throughout the morning and keep any cravings at bay! Whisk all the pancake ingredients together in a bowl with a spoon or fork until combined (add more water if you prefer thinner pancakes). Cook over a greased pan until one side is cooked then flip to cook the other side. Layer the pancakes with Coconut yoghurt and top with mandarin, coconut flakes and chocolate sauce. I’m glad you like the recipe! And I can’t wait to see a picture!